The ka-tet of Roland, Alain and Cuthbert have returned safely to their home in Gilead. But all is not well. Roland has kept the evil Maerlyn's Grapefruit and has become obsessed with peering into its pinkish depths despite the deadly toll it's taken on his health. And what the young gunslinger sees brings him the darkest of nightmares. Meanwhile, Roland's father has led a posse in search of those who threatened his son's life in Hambry-John Farson and the Big Coffin Hunters. 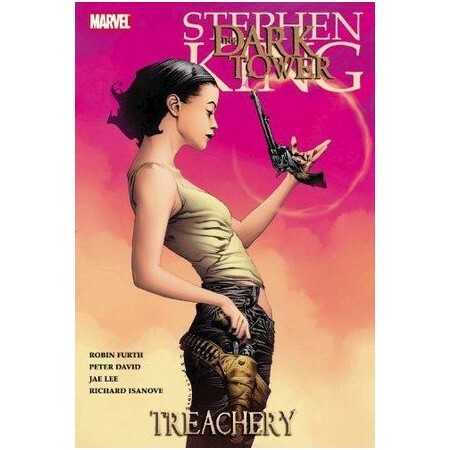 And in this encounter, Stephen Deschain's life may be forfeit.